"M" builds are much more stable than nightly CyanogenMod releases, but not quite good enough to be release candidates. They will generally work as a "daily driver" ROM, especially if you're used to the eccentricities of CyanogenMod, but depending on your device there may be one or two missing features. Also, not every device that's getting CM 11 nightly builds may get a full snapshot release. Since this is the fifth M build for this generation, you might want to wait for a release candidate if your current build is working well enough. 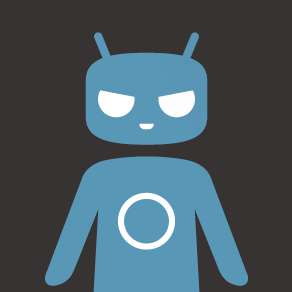 If you're ready to go, head to the CyanogenMod download page to pick up your ROM file, and don't forget Gapps if you want them. The build boxes generate files in alphabetical order by CM codename (which can sometimes be a bit random), so it will take at least several hours more for it to get through the whole list. At the time of writing there is no master change log for M5, though it may show up on the blog soon. Update: Told ya. The changelog has all the details on the M5 changes. Most of them are bugfixes and slight shifts to the interface. Some devices now support Quickboot, there's a new screen color options section in the settings menu, and WhisperPush has been moved to the privacy menu. Also note that the Galaxy S4 and Galaxy S III LTE builds won't be getting an M5 release due to some development issues, but nightlies are continuing.